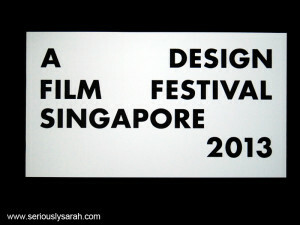 SGIFF: Sepet & One Two Jaga in Singapore! The cast of Sepet will be in Singapore! Basic ticket is $12 (excluding booking fees). It’s been at least 14 years since this movie premiered but it has so much feels. 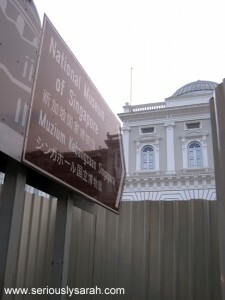 Catch the screening on 2 DEC 2018, SUN on 2:00 PM at the NATIONAL MUSEUM OF SINGAPORE. Sharifah Amani and Ng Choo Seong will be at this screening including Yasmin Ahmad’s sister, Orked. 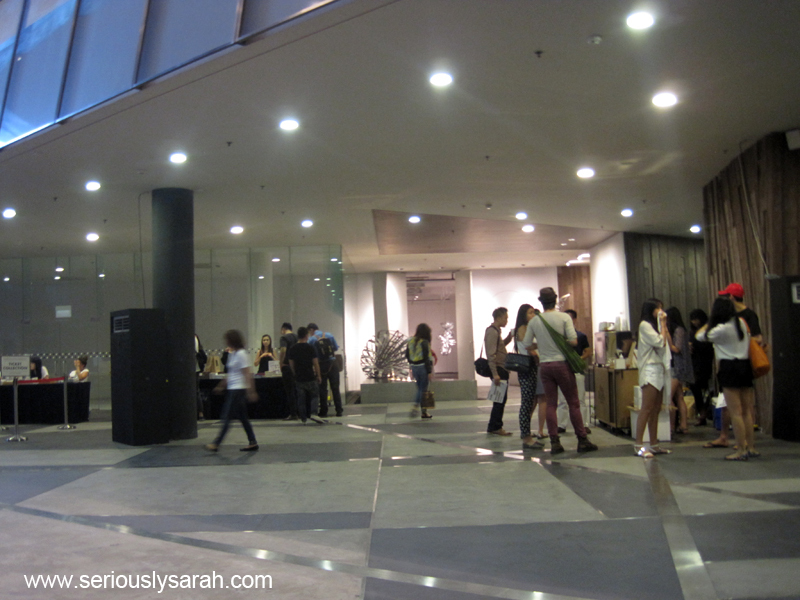 There will be a Q&A session after the screening. 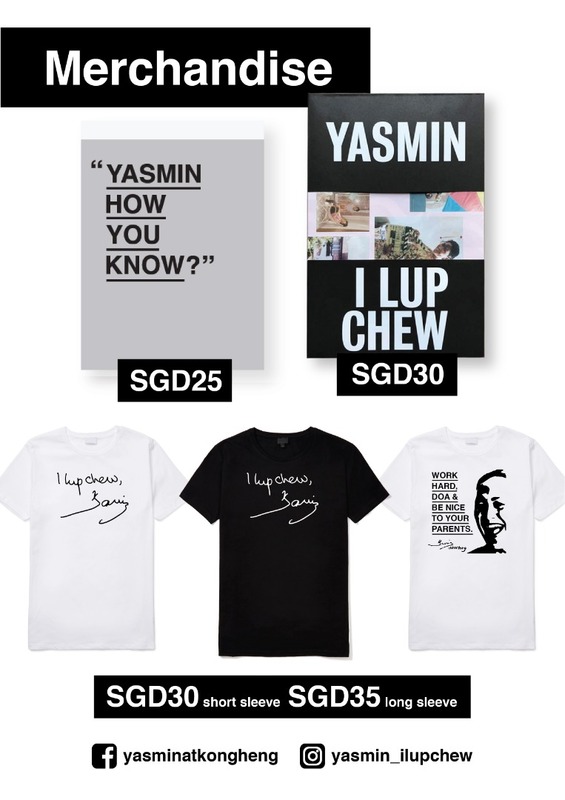 They will also be selling a limited number of merchandise and yeah this is the only time you can get it autographed by them. The only other way to get these books and stuff is to go to Ipoh and it’s not guaranteed that you can find all the cast and stuff again. If you don’t know what’s the story of Sepet… well, please come watch. I don’t want to spoil you even after 14 years. The director Nam Ron and his producer will be both introducing the film and doing a Q&A after the screening. This movie is pretty much telling the issues that we face now and I think it’s getting on Netflix too? At least from what I heard. It’s on at 4 DEC 2018, TUE on 9:30 PM at NATIONAL GALLERY SINGAPORE. 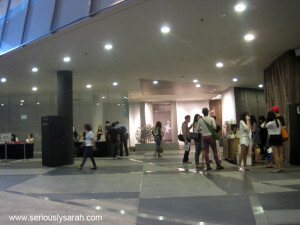 Posted on November 29, 2018 November 29, 2018 Categories Random EncountersTags events, film, singaporeLeave a comment on SGIFF: Sepet & One Two Jaga in Singapore! 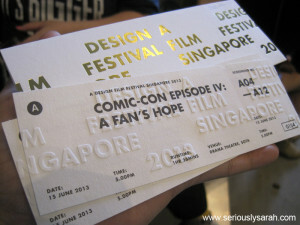 It’s the Singapore Design Film Festival 2013 and I managed to catch Comic-Con Episode IV: A Fan’s Hope! 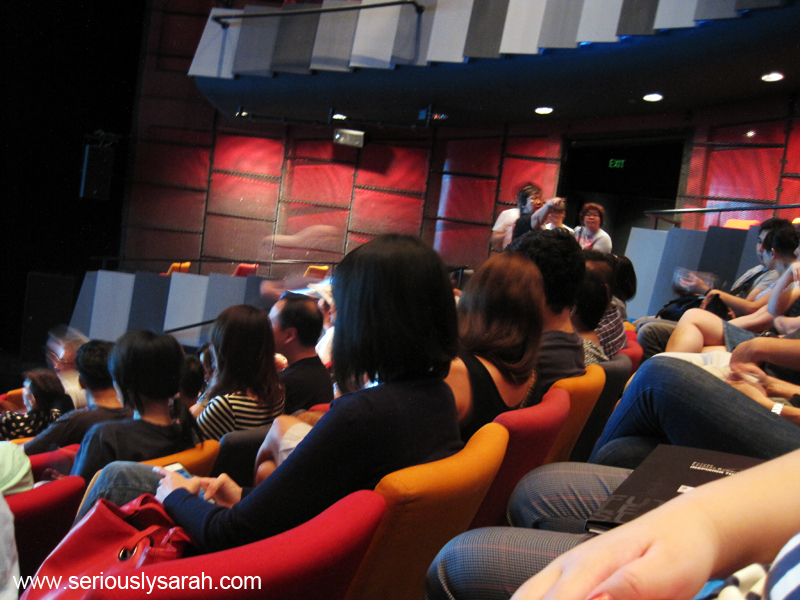 Firstly, this was held at the School of the Arts and secondly, woah. Look at the tickets. The one in gold font is the ticket holder. Paper’s by RJ Paper. 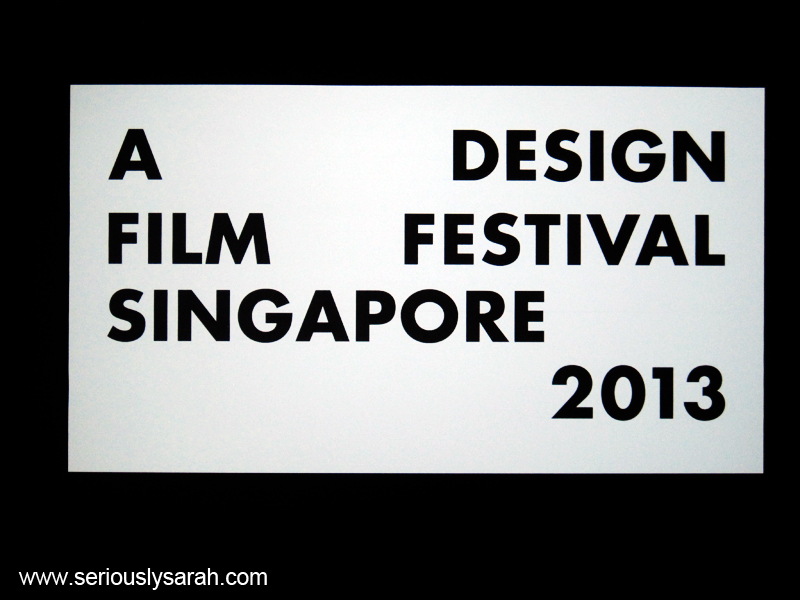 Yes, design film festival, I get it. It was really designerish. This is presented by Anonymous. Maaan, that’s so designer. Anyway while it wasn’t sold out, it was a packed theatre! 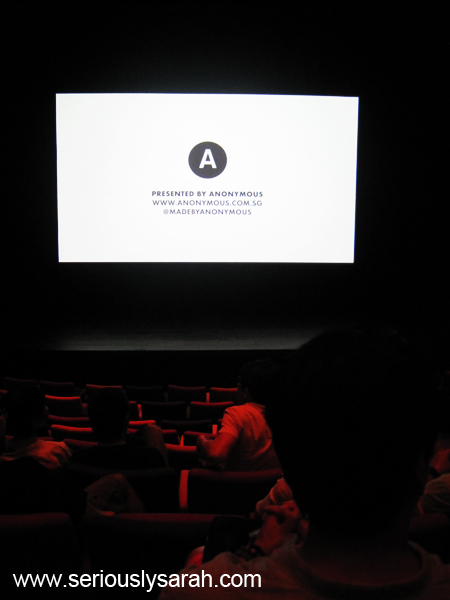 And then the movie started and it was just… So good! There was a brief cameo by Here Be Geeks too since they went during the year it was filming. You had the perspectives of the comic artists to be, the collectors, the fans, the cosplayers, the shop owners! Basically the people who made up Comic Con and it’s just so wow. If you ever wanted to go there, well then the title is really well named because it really is a fan’s hope! A hope to be in the comic business, a hope to survive it. A hope to make a great show. A hope to make lasting friendships or more! It’s just so AWWWWW. And it finished. The full movie was 1 hour and 26 minutes but it didn’t feel like it and the ending was just so awwwwww. Meanwhile Papa Palheta along with Books Actually were there by the ticket counters. The coffee was priced by how much you tipped! And the books were of course tagged as usual. Anyway the Japanese Film Fest will be starting on 26 June so check that out if you wanna see non-mainstream movies. They even have RENT A CAT! Posted on June 17, 2013 June 16, 2013 Categories Random EncountersTags comics, film, movieLeave a comment on A fan’s hope! I won tickets to 30 Lessons Of A Producer: The Gospel According To Nik Powell. Considering I got the email on Sunday, other people who were interested in this were busy on Monday and couldn’t come. It really was a good talk though!